Sylvester Stallone made six Rocky movies (though many fans of this franchise like to pretend Rocky V never happened). Therefore, it should come as no surprise that the action star is gearing up for a fifth Rambo installment. "Yeah, we are doing another Rambo, but the conflict is whether to do it in America or a foreign country." 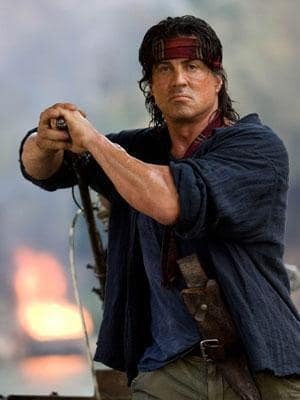 Will you see another Rambo movie?